We are offering a wide gamut of SlidingFrameless Glass in the industry. The offered products are designed as per customer requirements. We have carved niche in the industry by offering an impeccable collection of Decorative Glass. - Available in beautiful blue color. - In 1 set there are 6 glasses. We offer a wide range of Decorative Glasses that are offered in multitude of designs, colors, shapes and sizes. 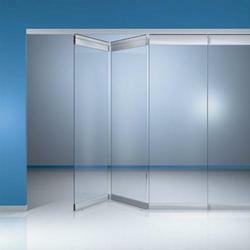 These are manufactured using quality glass, which we source form reliable vendors. Our range of glasses finds applications in commercial sectors for decorative purposes. We offer our range at industry leading rates to our customers. 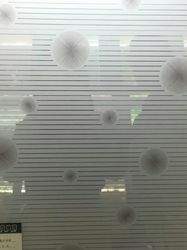 We have marked a distinct and dynamic position in the market by providing a high quality array of Dark Decorative Glass. Features: Available in various finishes, patterns and sizes Optimum quality Glossy finish.